I was recently introduced to a stamp company "The Ton" that makes gorgeous stamps for coloring... I then bought a ton (pun intended...) of their stamps. I picked up 4 of the large square coloring backgrounds. This is the second card. 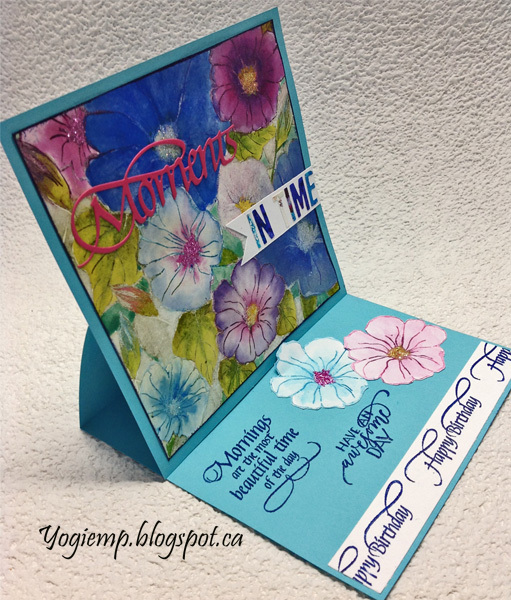 Pretty and colorful easel card. Very springy! Thanks for playing with us at 4 Crafty Chicks this week! I'm thinking the background stamps are a good choice for versatility. Beautiful Yogi! 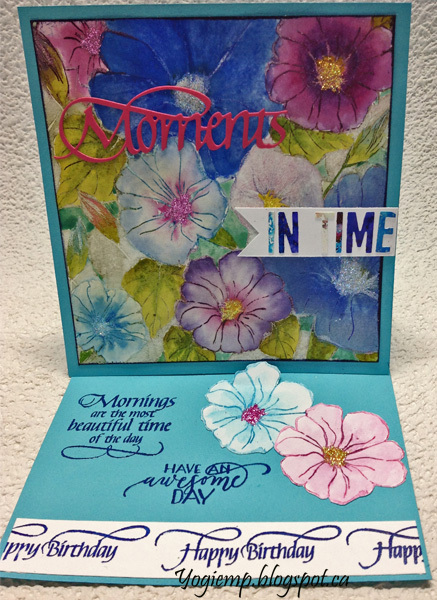 Such a pretty and cheerful card! Love the colors in it! Thank you so much for joining us at Seize the Birthday challenge! Thanks for joining us at Brown Sugar this month. Beautiful background and a lovely card. So glad you joined us at Die Cut Divas. A beautiful easel card. Thank you so much for sharing with us at Alphabet Challenge. Your easel card is so pretty!!! I love the brillant colours! !